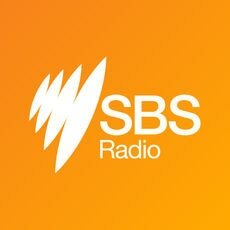 An investigation by SBS Punjabi radio now reveals that there are 'operators' in India who promise the desired IELTS score in exchange of money. During the course of this investigation, SBS Punjabi Radio came across an agent in Chandigarh. This correspondent, posing as someone who desperately needed to pass IELTS test, spoke to him. Following the initial reference check, the agent readily agreed to arrange for a 7 band score for Rs. 1,000,000, or approximately, AUD 22,000, half of which before and remaining half after the 'job is done'. "Rs. 7- 7.5 Lakh if you want 6 bands, for seven bands it will be Rs. 1,000,000. The price has now come down, we used to charge much more earlier," said the agent. When asked if there were any risks involved, the agent said it was a 'foolproof' job. He said he had already helped many people, including some in Australia. When asked how it would be done, he told this correspondent to transfer Rs. 25,000 ($550) to book two test spots, one for the actual candidate and another one for someone else. On pressing further, he revealed that he works in cahoots with the staff at the IELTS test centre. "The camera will be on you. The other seat ... I can't tell you everything over the phone. But, I will be with you at the test centre, and you will yourself see how I distribute cash among the staff. Everything happens with their complicity." The agent also said that he had done this for someone based in Melbourne who required 7 bands in all four modules of IELTS, for Rs. 1,600,000 ($35,000 approx.). SBS Punjabi Radio is not revealing the identity of this person. It's not just IELTS, another English language test, PTE, which is accepted in several countries including Australia, can also be allegedly manipulated. Another agent who operates IELTS and PTE coaching academy in India told SBS Punjabi Radio that desired score could be arranged in the test. However, he could arrange it if the candidate could sit for a test in a particular test centre in Dubai. For more news and updates, follow SBS Punjabi on Facebook. A teacher at Melbourne's RMIT university says universities are admitting students with low English proficiency in order to continue to make money. The category exempts eligible applicants from English language requirements and South Australia's work experience for state nomination.